The Ultimate Family Christmas Hamper incorporates a delicious cooked ham joint, smoked salmon, cheeses, 4 bottles of popular new world wines, a host of sweet and savoury gourmet favourites, and an assortment of Christmas themed chocolates & sweets for the children. 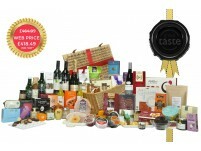 This exceptional hamper promises a truly luxurious feast. 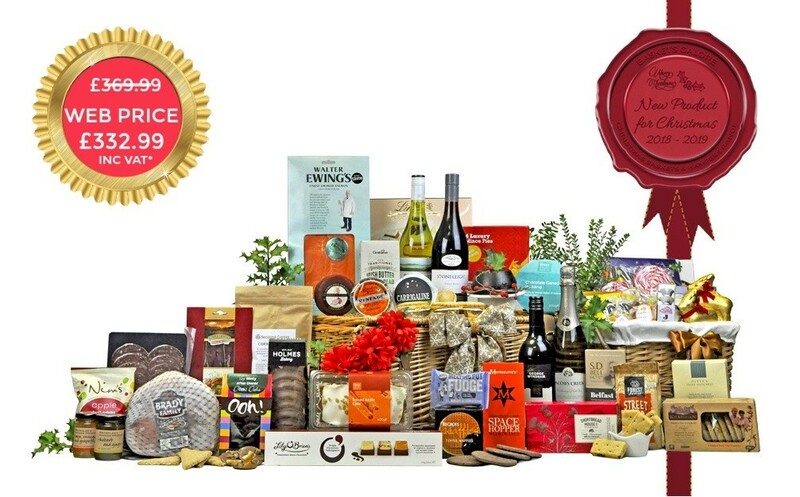 Filled with a cornucopia of gastronomic delights that have been meticulously crafted by a host of small indigineous speciality food manufacturers, and celebrated artisan food producers. 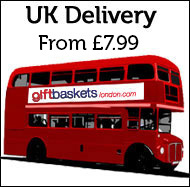 An impressive food gift that will ensure they are truly spoiled for choice. 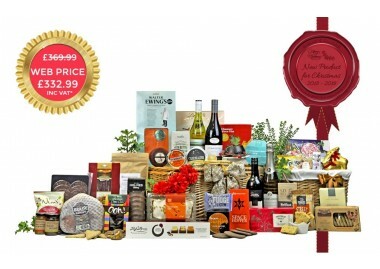 This substantial Christmas Hamper is simply bursting at the seams with a wide selection of flavoursome foods and popular wines. Incorporating freshly baked festive favourites, a large selection of creamy cheeses, and a plethora of delicious great taste award winning sweet and savoury accompaniments from the UK's top speciality food suppliers. 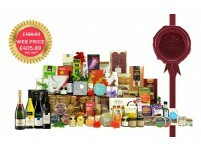 A gourmet wine hamper that will surprise and delight.